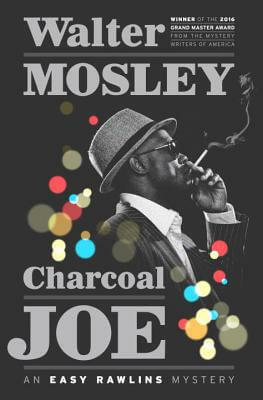 What was refreshingly abundant in Walter Mosley’s Charcoal Joe was Black male characters. From strong Black men to Black men seeking guidance, the reader witnessed Black males characters carving out space in a hostile environment. Mosley’s Black men did not merely exist; they prospered despite societal denials, systemic racism, and ostracism. The characters were keenly aware of the obstacles, and they knew how the oppressive society they lived in viewed them. However, the Black men in Charcoal Joe refused to accept and internalize the demeaning view of the society they operated in. The Black men in Charcoal Joe created a world within a world – a world where they received and gave respect – a world where what one did built one’s reputation. Mosley artfully elucidated the stressors of a created second class on men who saw themselves and their peers as first class citizens. The stressor, denials, and limitation of an enforced seconded class existence caused them to build and establish their own businesses and their own system of recognition for character and respect. In the novel, Mosley’s Black males had to depend on their own intellect and the intellect and strength of other Black men to prosper. Charcoal Joe offered a page turning mystery, a look at Black life in 1968, and a look Black men who survived and prospered in America. Read Doubleday’s description of Charcoal Joe: An Easy Rawlins Mystery.